Gino has created a remarkable character and a remarkable book. Everyone sees George, a fourth grader, as a boy. George knows she’s a girl. Not only that, she’s determined to play Charlotte in a school production of Charlotte’s Web, her favorite book, despite the fact that her teacher won’t even let her audition. 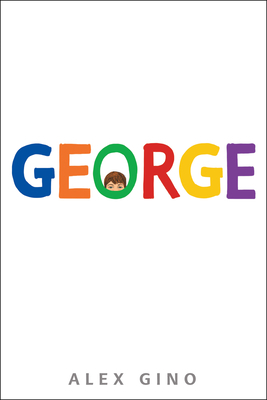 By using the female pronoun throughout the book, Gino lets us feel the disconnect between George’s interior and exterior. An excellent, accessible story about acceptance and unconditional friendship. George thinks she'll have to keep this a secret forever. Then her teacher announces that their class play is going to be Charlotte's Web. George really, really, REALLY wants to play Charlotte. But the teacher says she can't even try out for the part . . . because she's a boy. With the help of her best friend, Kelly, George comes up with a plan. Not just so she can be Charlotte -- but so everyone can know who she is, once and for all. Alex Gino loves glitter, ice cream, gardening, awe-ful puns, and stories that reflect the diversity and complexity of being alive. George is their first novel. For more about Alex, please visit www.alexgino.com.